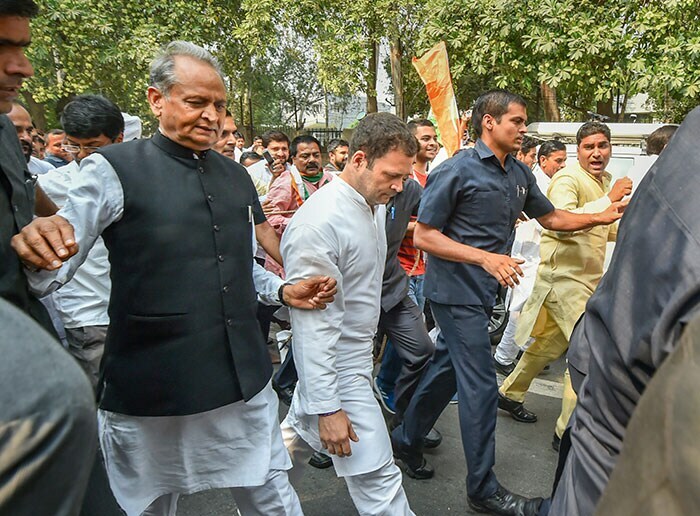 Congress President Rahul Gandhi on Friday courted arrest after staging a protest outside the CBI headquarters in Delhi against the move to divest CBI Director Alok Verma of his powers and send him on leave. 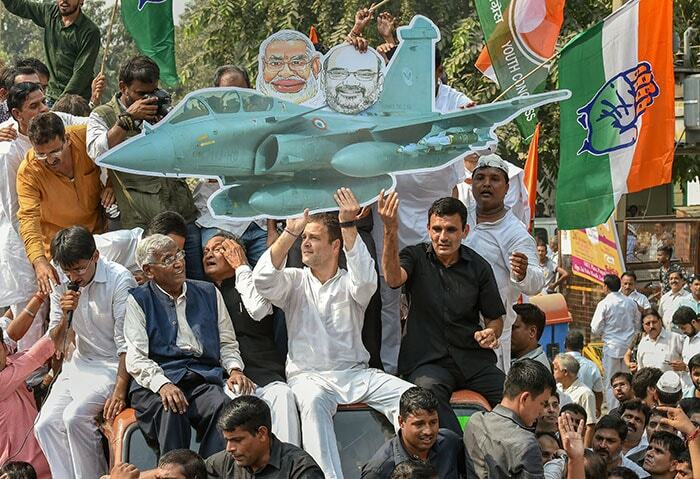 Rahul Gandhi holds a cutout of a fighter aircraft during a protest demanding the reinstatement of CBI Director Alok Verma outside the CBI headquarters, in New Delhi. 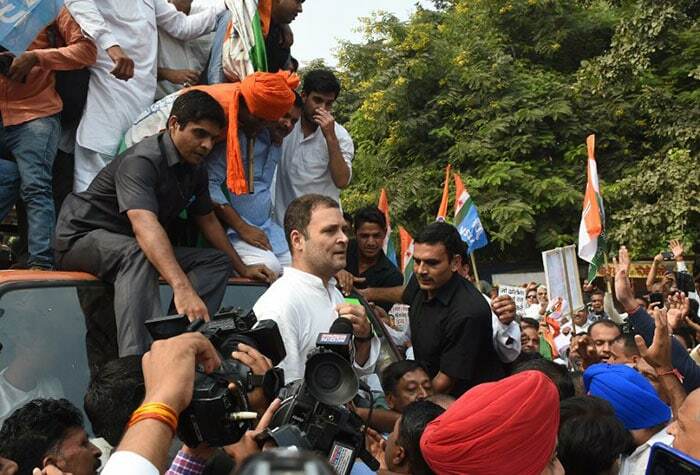 Rahul Gandhi and senior party leaders march towards the CBI headquarters during the protest. The Congress has slammed the government for what it says is the "illegal, unconstitutional and illegitimate removal of the CBI director". 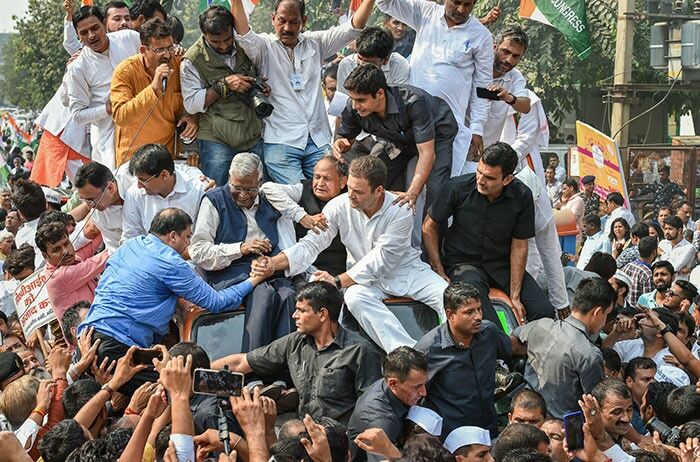 Walking in the front, Rahul Gandhi led hundreds of people who shouted slogans and carried placards and posters that criticised the government. 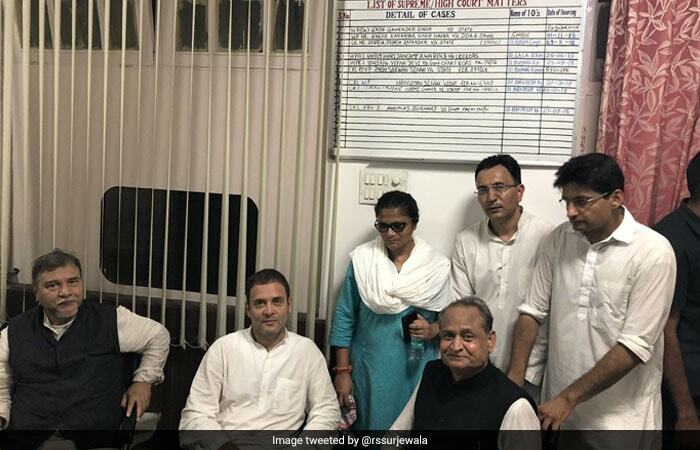 Rahul Gandhi and other Congress leaders courted arrest at Lodhi Road police station.